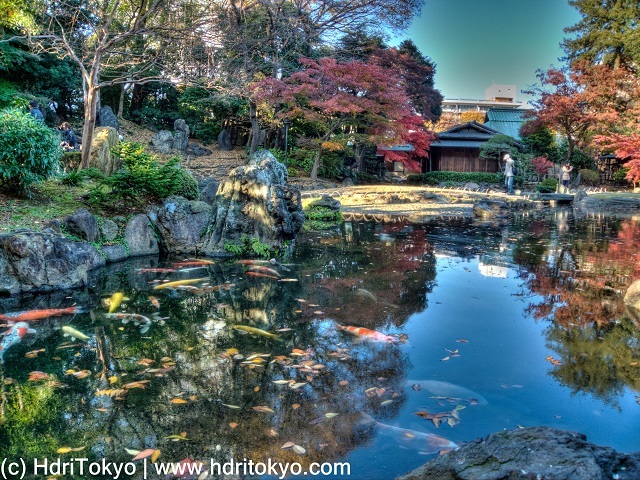 Even if you have been to Yasukuni Shrine, you might have not seen the garden. This garden is located at the back of the main hall of the shrine. It is not large, but it is beautiful and calm. 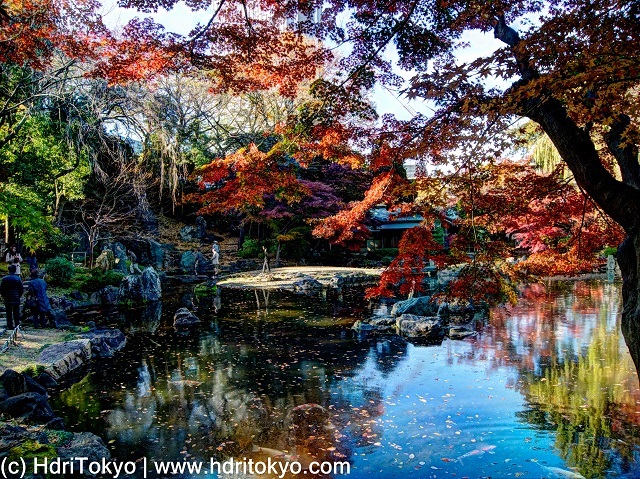 In late autumn and early winter, the garden pond reflects changing colors of leaves, and beautiful colored carps sail under dry leaves floating on the water surface.